Looking after your physical, as well as mental health during the winter is incredibly important. Evidence shows that exposure to cold temperatures suppresses the immune system, and therefore the opportunities for infection increase. It isn't just our bodies which are at risk of suffering this winter either with long cold winters often having an impact on our mental health too. It’s not always easy to take precautions or avoid an illness or condition flaring up. However, staying warm and taking care of your general health can help a lot. 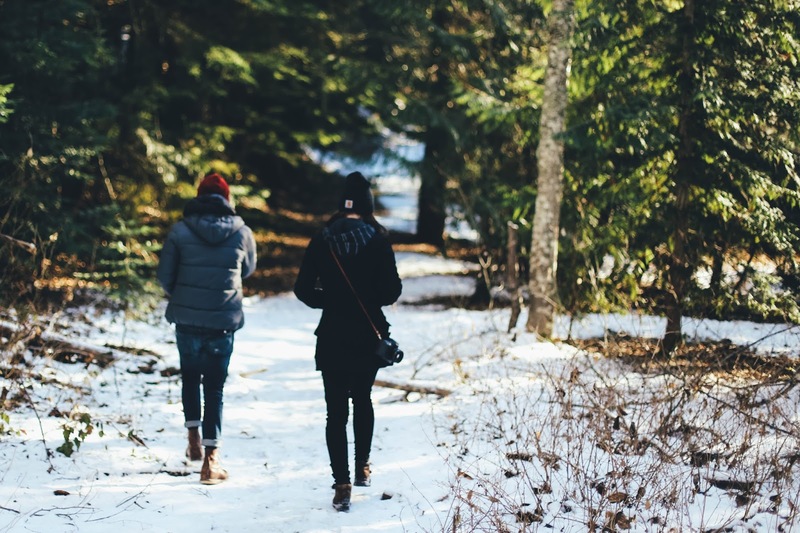 Here are 5 tips on staying healthy this winter. Taking vitamins and supplements to compliment a balanced diet can help give your body the boost it really needs. One of the most beneficial vitamins to take in the winter is vitamin D. Low vitamin D levels are associated with immune dysfunction, depression and even cancer. Vitamin D assists the function of the immune system by reducing inflammation, as well as increasing the amount of antimicrobial proteins, which destroy invading germs and viruses, and help your immune system fight infections more effectively. There are hundreds of vitamins and supplements out there, so work out your problem areas and do some research as to what ones may be of the most use to you. A good place to start is with the basics such as iron, B vitamins, magnesium, cod liver oil and zinc. Look after your aching muscles and general pains. Cold weather can cause your body to ache and may even trigger existing pain conditions to flare up. One simple way to sooth your muscles is by taking a hot bath. Bath salts have many benefits for muscle pain and you can buy these from most drugstores and supermarkets for a reasonable price. You may also want to consider receiving professional help if your winter aches and pains cause you long term problems. Cold weather can cause you to tense up and many people suffer from joint and back pain in the winter. Physiotherapy is an excellent way at helping ease your suffering on a more long term basis and you can receive Physiotherapy Treatments for almost all physical issues. It is definitely worth considering physio if you want to prevent any further damage or if your problems don't improve over time. Eating a healthy balanced diet is obviously incredibly important, but it is equally as important during the winter to make sure you are eating plenty of veg, spices and herbs. They are jam-packed with essential vitamins and minerals, as well as phytochemicals and antioxidants, which support and strengthen the immune system. Go for a variety of different colours each day. Eating the “rainbow” truly does protect you from colds and flu. Include the following immune boosters on a regular basis – garlic, onions, ginger, and chilli; cruciferous veggies such as broccoli, cauliflower, cabbage, brussels sprouts; and Vitamin A containing foods such as carrot, pumpkin, sweet potato, and green leafy vegetables are sure to help keep your body fighting fit. An easy way to get all of these into your body is through soups and stews. Delicious! The outdoors isn't always appealing when it is cold and wet outdoors, and we may be tempted to stay in the warm under a blanket. However, getting enough exercise in the winter is crucial and this can be achieved by taking simple measures when out and about like choosing to take the stairs, walk to the bus, or go for a walk in your lunch break (incorporating a little Vitamin D). Gentle exercise on a daily basis keeps circulation healthy and therefore blood and nutrient supply to all areas of the body. Exercise contributes to the circulation of antibodies and increases the production of macrophages, which attack the bacteria that can trigger upper respiratory diseases. It also reduces stress hormones, which can create havoc with the immune system. You may also prefer to exercise indoors so joining a gym might be a good idea or why not do a home-workout every other day? Get a friend or relative involved for some extra motivation. Wash your hands regularly! Hand washing is the single most effective way to prevent the spread of infections, and can reduce infection rates by up to 40 per cent. It doesn't need to be antibacterial hand wash, soap and water is fine, as long as your hands are staying clean. You may want to invest in a small antibacterial hand gel to keep in your handbag or car so you can keep clean quickly when out and about and on the go. You also want to make sure you are cleaning any surfaces in the home which have direct contact with hands on a regular basis too. There are lots of antibacterial sprays designed to use in the home and these are great at stopping the spreading of nasty germs which we could all do without this winter.